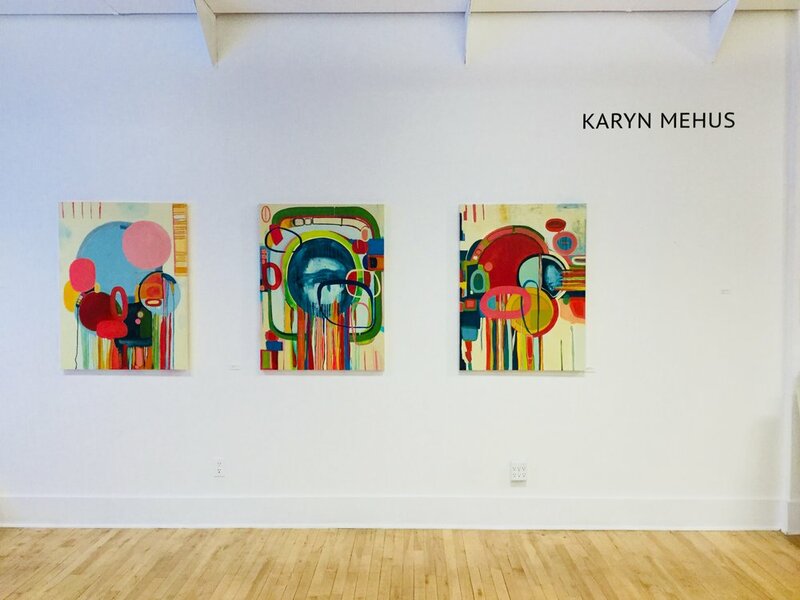 Karyn Mehus | "The Start of Something Good"
Karyn Mehus | "Jump Through"
Karyn Mehus | "Epic Epoch"
Karyn Mehus | "Portal View"
Karyn Mehus | "Stop and Smell the Roses"
Karyn Mehus | "Looking Glass"
Karyn Mehus | "It's Somewhat Delicate"
Karyn Mehus | "What Blooms at Night"
Karyn Mehus | "Southern Hemisphere"
Karyn Mehus - "Stjarna - Star"
Karyn Mehus - "Sweet Little Thing"
Karyn Mehus - "Deoxyribonucleic Acid (DNA) of America"
Karyn Mehus - "Blomma - Flower"
Karyn Mehus - "Let It Go Wild - Släppa"
Karyn Mehus - "Small Things Come in Good Packages"
Karyn Mehus - "Celebrate the Little Things"
Karyn Mehus - "Sugar Beet Factory II"
I find myself in awe of the beauty around me often, and it inspires me to create relating lines and colors on paper and canvas, sometimes in clay and objects. My heart is filled with gratitude that I have lived a life where I have the luxury of basking in God's grace and our magnificent world. Although I believe we all have this luxury, the human journey is not without suffering. Painting is a way for me to make sense out of the extreme brilliance of both the joy and the suffering. I'm always surprised by what comes through when I sit down and let it happen. Even when I assert my idea of what I want to create I find myself in a much better place if I can surrender my own agenda and watch it unfold. I attended the Art Institute of Southern California in Laguna Beach and have a BFA (with honors) in studio art and graphic design from Chapman University. I have been drawing and painting for as long as I can remember. My work can be seen in private and corporate collections in Southern California, the San Francisco Bay Area and here at Montana Gallery in Billings, Montana.